ok, for the past 6 weeks (2 21-day packs) ive been taking "nordette". i didnt get my "monthly SEVERE breakout" and i had no moodswings (which im super happy about). but i still get mild/moderate acne throughout the month. how long will it take to clear up the moderatestuff i get, and is it normalto have "breakthrough bleeding"(the bleeding after a pack) that is heavier than my original period? well birth control usually takes 2-3 months to start working properly, so id wait for another month or so for it to clear up some more, but in the mean time you should stay on whatever regimen you're on. several other people on nordette also have it, so i'd say its pretty normal, but if it bothers you you should see your gynecologist to switch medications. "I was on ortho-tricyclin for 7 years and had to switch to a monophasic pill because of spotting in between periods. I would highly recommend Ortho-tricyclin. Nordette did solve the spotting problem, but I went from blemish free skin to having a dozen blemishes on Nordette. My GYN said Nordette has Norgestrel as a progestrin (a third generation). I found out pills tend to be better over with newer generation progestrin. I'm back on the Ortho brand (Ortho-cyclin) and all ready notice an improvement my skin. I'm sticking to Ortho." so if you dont see improvement, maybe switching could help, but you said your skin is improving already, so i think you'll clear up even more. This is definitely true- it takes some time for your body to adjust to the hormones. I was on Ortho for about a year and my skin never looked better. I went off because I moved and ran out of my pills. I just got back on it about two months ago-and my skin has started looking better but I am still breaking out a little more than I was when I went on Ortho before. BUT I just started my third pack of pills so fingers crossed that my skin returns to how beautiful it was when I went on it before! i wish i could try one of the "orthos"... but i dont have insurance... so i have to deal with what my parents can afford... but i think the nordette will work... i mean they say most BC pills control hormones so ill just have to wait. yes they do! I have been getting my BC from planned parenthood for free for over 3 years! Make sure to make an appointment with them online first so you don't end up having to wait hours just to get birth control. When you get there (on the day of your appointment) you will be given a few forms to fill out, you will have to state your monthly income (or your moms), since you don't have insurance I am positive you will qualify and get your BC for free. Make sure to ASK for the kind of BC you want okay? I've been on yasmin for about a year now, and I stopped about a month ago, then started up again. It takes a while for the spotting to stop, I think it was after 2 pill packs when I stopped spotting. So now that I'm re-starting after being re supplied I have to go through that whole process again. 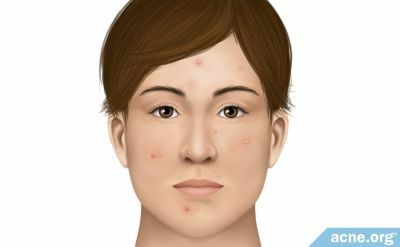 I suppose its helped keep my hormones in control, at least its kept me from getting super bad acne again, but I'd say I still have mild acne, so I'm starting on Natures Cure for females, and it seems to be doing a pretty good job. I was thinking about switching to ortho when I get back from this fantasticly bad country (afghanistan) but wasnt sure if it would benefit me. Apparently so though, thanks for this post! I've tried a lot of stuff and ortho is the only thing that worked for me. my mom says to give the nordette another month before i switch... but already my skin is less oily... so im hoping the acne starts getting alot better (oil is a main factor right?). Ortho Tri-cyclen cleared me up in 6 months. I haven't broken out for 3 months now! Before that I my acne was on a steady climb from mild at age 11 to moderate/severe fall of '06. That's when I went to a derm, got topicals and antibiotics. I didn't clear, so I went back in Jan. 07 and he prescribed Ortho. It did take quiet a while for it to work but it was so worth it and time just flew by anyway with steady progress! Also, try searching for Nordette with the search feature, you might get some helpful results. Is nordette renowned for being good for acne, or is it yasmin? My skin is absolutely awful before my period. I want to go on the pill anyway, so may as well ask for something which may help my crappy skin!